We are the leading dealers in the kitchen commodities purchase and sales. We have the franchise of branded kitchen commodities such as GLEN dealing in kitchen furnitures and ZERO’B dealing in water purification products. We have a sort of kitchen gallery which not only provides you with all your kitchen needs but also understand and analyze with what suits your kitchen in the best manner. Dealing in GLEN products , there is a wide range of kitchen furnitures that will not only enhance the performance of cooking but also increase the efficiency at which you generally work. Products giving you the combo advantage of Induction+Gas facility are available with full guarantee. There is GLEN gas cooktop as well as induction cooker in which you will find all the latest technology of timer, power setting, auto cutoff as well as digital display. These are few of the facilities that t products of GLEN offer to its customers. New range of cook tops are provided by GLEN with variety of glasses that are easy to clean, with three or four burner models and much more. 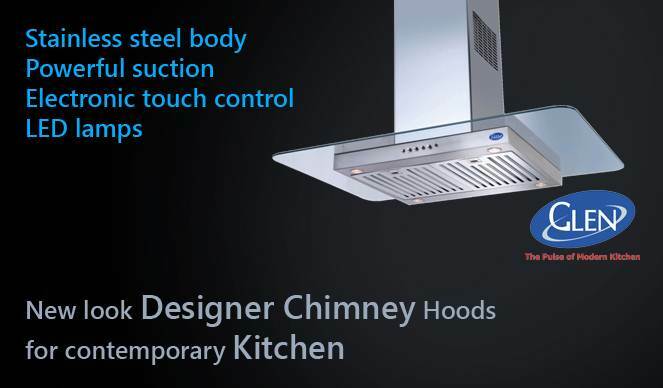 There are CHIMNEY HOODS, BUILT-IN HOBS and BUILD-IN OVENS provided by GLEN that are of world class quality and stood against any situations. Moreover, we have all the skilled staff who will give a great service at your doorstep once called for. We make sure your satisfaction is at the highest priority in our goals. Cooking and water go hand in hand, so we take care of that too for you. We have the franchise for the ZERO-B water solutions. Leading firm dealing in water purifiers, auto softenizer. Zero-B softeners are upgraded to Food Grade and NSF Certified resins. They are very stylishly designed. Any kind of water treatment is provided by ZERO-B solutions . Every service is provided to meet all the demands and requirements of our customers. We have very normalized rates and we give One Month of probation period for our product to test it’s functionality and to meet its satisfaction. And complete range of Zero B water purifiers.